← Hail to the Sicilian stonemasons! The swamp rose is back and better than ever. It’s about four feet by four feet now, covered with panicles of 2.5″ semi-double lavender -pink blossoms that the light shines through. And the fragrance scents the entire yard. It’s a small yard, true. But it smells like heaven. 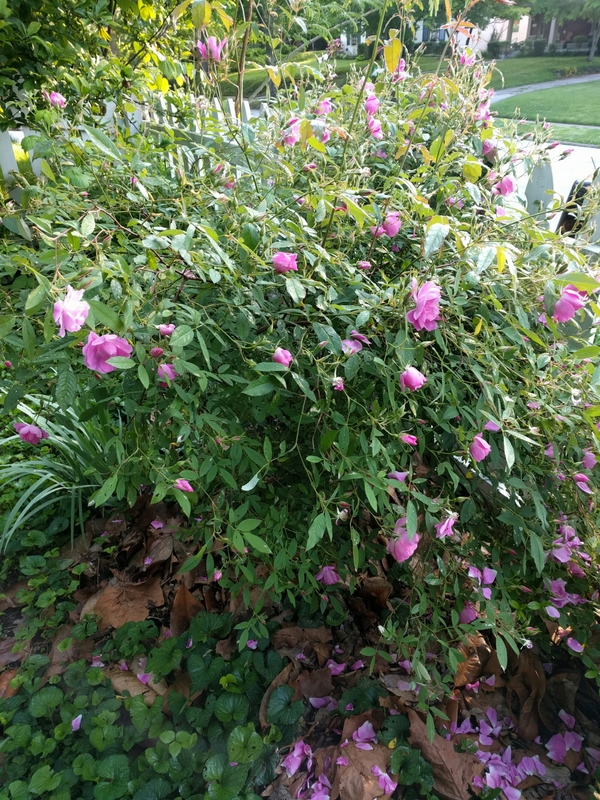 This entry was posted in recommended rose varieties for the Midwest/Upper South, seasonal updates, the good news about roses and tagged swamp rose, thornless roses. Bookmark the permalink.